At Angels Montessori School academics is the main focus of the curriculum to prepare our students for primary school, but social, emotional and sociocultural development also plays a very important role which is the progress of the WHOLE CHILD. The school operates all 12 months, but the academic school year starts in September and ends in June. The months of July and August is our Summer School Program which is set up to have a different curriculum. Click here to see our summer program. Our goal is to prepare every student for primary school. By the time they graduate from our school they are reading, writing, able to complete basic math; addition and subtraction. Based on our experience we recommend that students to start school from a young age. Students starting at a younger age have stronger academic and social skills. It's all about time and practice. Children who start with us at age two are guaranteed to achieve a level of proficiency that is always a grade higher by the time they finish preschool. Achieving excellent social skills, developing a talent in arts and crafts, an appreciation of music, dance, culture and much more is also part of the curriculum to mold the WELL ROUNDED CHILD. Most of the learning activities are individualized. 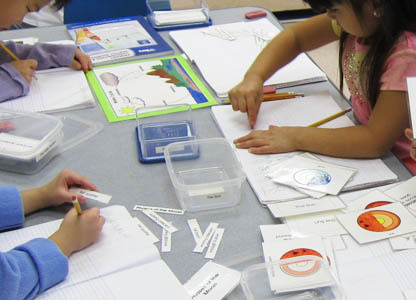 Each child engages in a learning task which has a particular appeal to the child because the activity is geared to their level of needs and readiness. Consequently the child works at his/her own pace, repeating the task as often as he/she likes, thus experiencing a series of successful achievements, which builds a positive attitude towards learning itself. 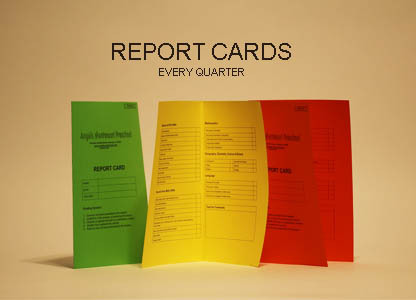 Many grade and high school pupils have difficulty in school because they do not have confidence in themselves. In our school tasks are programmed so that each new step is built on what the child has already mastered, thus removing the negative experience of frequent failure. Repeated success builds an inner confidence and the reassurance that the child can learn by himself/herself and also contributes to the child's emotional development. Through a series of absorbing experiences, the child forms habits of extended attention, thus increasing their ability to concentrate. Most 2 year old for example have terrible concentration skills. The Montessori system has various equipment such as the Montessori cylinder set that can gradually build concentration in increments of five minutes. A deep, persistent curiosity is a prerequisite for creating learning. By providing the child with opportunities to discover qualities, dimensions and relationships amidst a rich variety of learning situations, the child’s desire to know is developed into a habit of being curious. By surrounding the child with appealing materials and learning activities geared towards his/her inner needs, the child becomes accustomed to engaging in activities on his/her own. Gradually this results in a habit of initiative, an essential quality in leadership. “Ground Rules” call for completing a task once begun and for replacing materials after the task is accomplished. This “Completion Expectation” gradually results in habit forming persistance. A child’s need for order and security is intensely satisfied through a well ordered, enriching but simplified environment. This is noticed in the calming effect the environment has on the child. Since the Ground Rules in a Montessori classroom establishes that every item has its place, it satisfies a child’s inner need for order. This is achieved through activities calling for the manipulation of a wide variety of specially designed apparatus. This goes beyond the scope of traditional Montessori techniques and uses the latest findings of modern psychology. Intriguing tasks involving large and small muscles enable the child to gain increasing control over his/her movements. Many of the tasks for example call for muscular movements and control that has a positive effect on developing proper hand writing skills. Challenging, sorting and matching activities confront the child, calling for his/her noting similarities and differences in size, shape, color, texture, odor, sound etc - in short, sharpening his sensory acuity. Thus his senses team to report more accurately the various qualities describing his world. Through working with others the child learns to cooperate with others as well as to restrain at times spontaneous impulses which infringe on the rights of others. Through group oriented tasks in which the Ground Rules limit and at times foster, his/her impulses, the child gradually develops an understanding of and appreciation for what is meant by respect for others. Open house is held once a year and our students present a magnificent array of talent to their families. This is an occasion where students demonstrate and present what they have learnt to their parents and friends. We invite all prospective families to join us at our open house. Please refer to our calendar to confirm the open house dates. This is an opportunity for a two way dialogue between parent and teacher. Parents are asked to give feedback to the teachers about their child's porogress. The teachers will discuss the child's progress, area for improvement and a plan of action for the child going forward. Before we begin we must prepare the child to absorb the material. They must be in a good mood, recepetive to ideas, happy, well fed, groomed and comfortable. Here is how we do it. 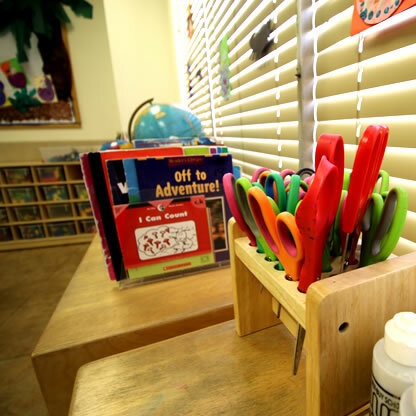 A good preschool experience begins with discipline for parents and kids. It means parents should have the discipline to get up early and bring their child to school on time. Children should not be woken, bundled into the car and delivered at our doorstep without breakfast or a wash. Children who are dropped off at set times and picked up at set times tend to be far better behaved our experience has shown. They reach a comfort zone with the school, with their development and their environment. We understand that busy parents sometimes have unavoidable mishaps and can get late. If you are going to be absent or late call the school and let us know. This helps us plan for the day. Be firm and fair with your children. Give them time to finish an activity. Parents who are well organized tend to produce well balanced kids. That’s means they are expected to sign in and sign off their child at the school every day without fail. Parents are expected to take their children’s blankets home every Friday, wash it and bring it back the next Monday. Provide an extra set of clothes and shoes in case your child has a toilet accident. Make sure your immunizations are up to date. Ensure that children's vaccinations are up date and they have received proper medical check ups, not just when they are sick. A healthy child is very important to our school because it affects all children. That means we will carefully observe your child for any signs of illnesses especially long term illnesses or conditions. We will provide advice and suggestions on how you can improve your child's health. State law states we have to check immunization records annually. So keep them up date. But we go beyond this and can provide you will valuable advice on everything from food suggestions to behavioral modification programs. Children go through various emotional stages. Sometimes it is due to food allergies or lack of proper nutrition. At other times it could be due to a family tragedy. We observe these condition far faster than many parents. We are highly attuned to a childs development needs whether physical, mental or emotional needs. Pack a healthy lunch for your child or get the school Hot Lunch. Peanut butter sandwiches or sweets are not really appropriate. Use 100% juice. Sodas and many drinks have High Fructose Corn syrup which have deadly consequences. You don’t have to spend hours cooking a healthy dinner. Design a dinner menu for every month to make life easier. You don't have to stick to it but makes thinking of what to make for dinner that much less stressful. Minimizing sickness is one of our top priorities. When your child attends school, there is an increased risk of illness. Don’t worry, this is normal and will strengthen your child's resistance to disease. Having said that, it is important that parents take an active interest in reducing the chance of their child getting ill. During the months of January, February and March your child has an increased risk of getting ill. Take preventive action. Fresh Lemon juice is an amazingly effective way to reduce colds, sore throats and fever. Dress them warm in Winter and make sure you supply head gear like proper hats for winter and summer. Disinfect your house and car especially in the winter. Your child will have accidents at school. We cannot prevent injury, short of keeping them locked-up in class and we are sure you don't want that. Children will explore everything. They will try to break things. Hit each other and even bite. Some children will develop allergies to the trees or plants in our garden. Others might get bitten by an ant and scream murder. Our goal is to minimize risks, so there is no serious permanent injury. You should therefore dress your child in appropriate clothing. Proper clothing and shoes will reduce injury should they fall. For example sandals while comfortable in the summer exposes children to the risk of bites from an ant or injury to their feet. Closed shoes are therefore recommended. Put Sun block on your kids in summer before you leave for school to prevent sunburn.